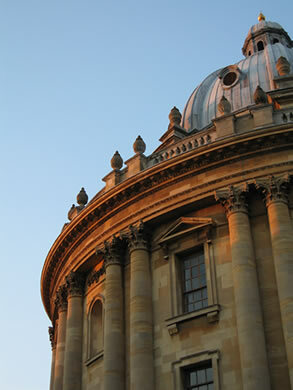 Candidates are invited to apply to the Oxford Interdisciplinary Bioscience Doctoral Training Partnership (DTP) programme. The programme is supported by the Biotechnology and Biological Sciences Research Council (BBSRC) and aims to equip a new generation of researchers with the skills, insight and knowledge needed to tackle the most important challenges in bioscience research. Led by the University of Oxford, the Interdisciplinary Bioscience DTP brings together the expertise and facilities of seven world-class research institutions. These include: Pirbright Institute, Oxford Brookes University, Diamond Light Source, ISIS, STFC Central Laser Facility and the Research Complex at Harwell. We provide an innovative, individually-tailored graduate training programme that includes taught courses in interdisciplinary skills and the opportunity for students to undertake two exploratory research projects with prospective supervisors before selecting their main research project. Students also undertake a 12-week professional internship to gain direct experience of the areas of work into which they can apply their skills. The course admits students from both a life and physical science background who wish to wish to conduct fundamental and applied bioscience research. We welcome applications from students who hold, or are on target to achieve a first-class or strong upper second-class undergraduate degree (or equivalent international qualifications), as a minimum, in a relevant academic subject. Up to 38 studentships are available for UK and EU students for the forthcoming academic year supported by the BBSRC and the partnership (BBSRC eligibility criteria apply) in the areas of Integrative Plant & Animal Biology, Mechanistic Molecular and Cellular Bioscience, Animal Health & Welfare, Crop Science, Biotechnology and Bioenergy. Please refer to the departmental website for the closing dates.